The playwright Ayad Akhtar, whose first major play, Disgraced, won the 2013 Pulitzer Prize for Drama, didn’t have the kind of playwriting apprenticeship you’d expect for a writer of naturalistic dramas. His early interests were much more avant-garde, beginning in high school where a teacher turned him on to modernist mid-century playwrights. Even by the mid-eighties, when Akhtar first encountered them, the heat had long dissipated from the explosions that Samuel Beckett, Friedrich Dürrenmatt, Jean Anouilh, Jean-Paul Sartre and their cohorts had caused in Western drama. But they still had the power to turn the head of a Milwaukee teenager. 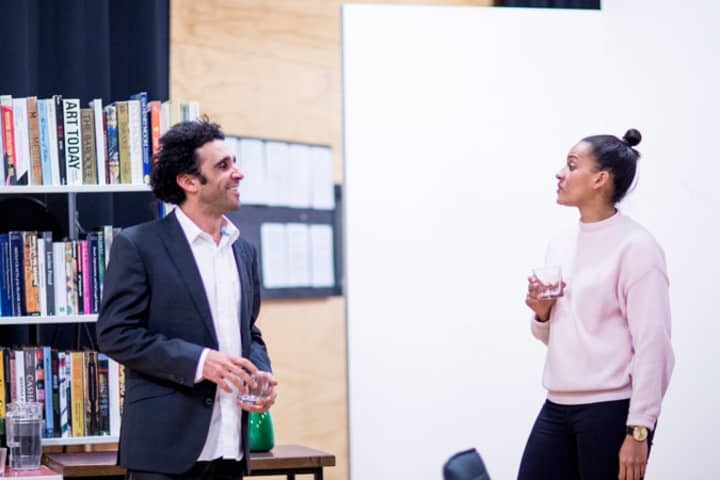 MTC’s production of Disgraced plays at Arts Centre Melbourne until 1 October, and then tours to Geelong Performance Arts Centre 5 – 8 October and Queensland Theatre Company 14 October – 6 November. This is an excerpt from the Disgraced programme. For more features, interviews and cast information, you can purchase a programme from our friendly theatre staff at your next performance.